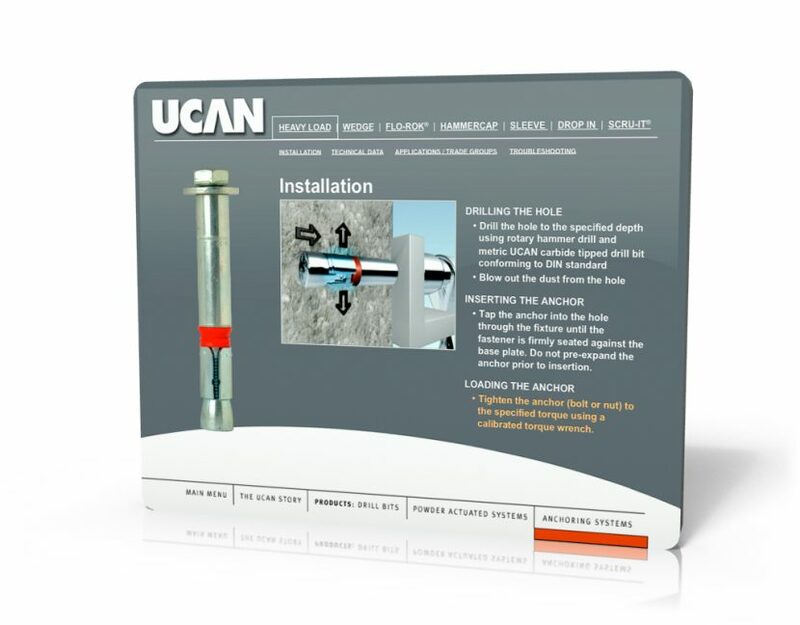 UCAN Fastening Products have established themselves as the top-quality leader in the industrial fastener market. They approached us with a challenge: create a tool for their sales force that can easily be tailored to specific client segments while also not looking like a cheap template. As the sales folks were all fluent in PowerPoint, they really wanted to use that familiar platform to reduce training and support loads. We created 3D animated installation videos, custom music backgrounds and selected transformations to create an interactive PowerPoint that can act as a self-guided brochure leave behind for customers as well as a tool that the sales associate can tweak and tailor to their prospects needs.